The Killerton Herd of prize winning Limousin cattle reside on Columbjohn Farm which is a mixed beef and cereal enterprise farmed by Patrick and Sheila Greed close to Exeter, Devon, in the south west of England. With approximately 700 acres, the farm has 300 acres river meadows, 100 acres Grassleys and 300 acres combinable crops (barley, wheat and oats). 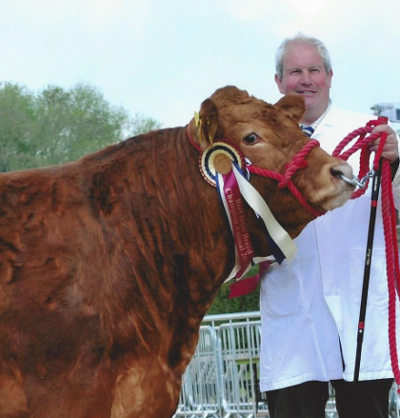 Patrick gave his pedigree Limousin herd the prefix name “Killerton” after the National Trust estate where he farms. You are welcome to visit the easily accessible farm which is located approximately 7 miles from J.28 and J.29 of the M5, north of Exeter. See our “Contact Us” page for details.